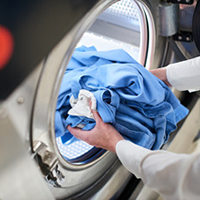 We specialize in processing Laundry and offer a full in house service, washing and finishing almost anything you can imagine. Our famous shirt service. Only £1.75 pound per shirt, washed, pressed & returned on a hanger. 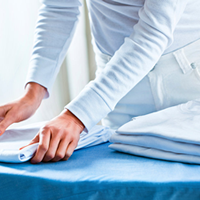 Commercial and contract work for hotels, guesthouses and care homes happily handled. Separate price list available on request for bulk and commercial contracts.